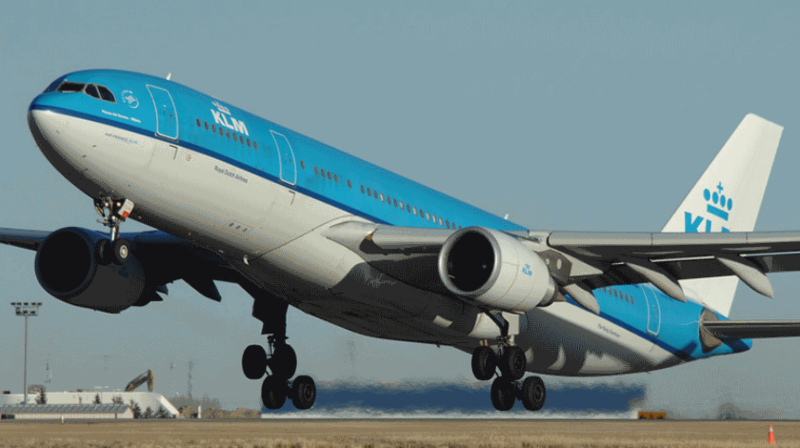 KLM Airbus A330, performing flight from Minneapolis to Amsterdam was on final approach when the crew reported they suddenly had lost/depleted a hydraulic system and queried whether they were cleared to land, which tower affirmed. The aircraft continued for a safe landing on runway 06. After landing the crew advised they had no nose wheel steering and would vacate via a high speed turn off. Tower advised while the aircraft was turning off the runway that there was smoke from the right hand main gear and recommended to hold position, emergency services were on their way already. The crew suspected hydraulic fluid dripping onto the hot brakes and stopped the aircraft while still on the high speed turn off. Emergency services arrived at the aircraft and checked the right main gear. The crew requested to be towed to the apron and advised a runway inspection might be needed, they probably leaked hydraulic fluid from low altitude until after landing.